Another Digimon mobile game has been released. After a lengthy testing and sign up period, the full version of Digimon Linkz has finally been released in Japan. It'll be hard to play without Japanese language skills, but if you have a proper account, you can head over the official site to take a look and get started if you'd like. Looking at some gameplays... I understand nothing, I'd need a translation to play it, something I've noticed is that almost all the music and sound seems to be reused from Re:Digitize. I'm not sure, I mean, if someone provides online (probably GameFAQs) a general translation for the interface and an overview of how things work, then I don't see how it'd be hard for people to play.. though, I get what you mean. Just finished the tutorial. It looks really nice, but has several instances of heavy frame drop. Now, I wonder where are we supposed to get the pre-registration V-mon and all the bonuses the next 0rder petting game gave away. EDIT: For whatever reason I forgot to click on the giant gift icon. They also gave me a Lopmon. Last edited by ShikaSS; 03-24-2016 at 03:14 PM. There is no sign of that new digimon. 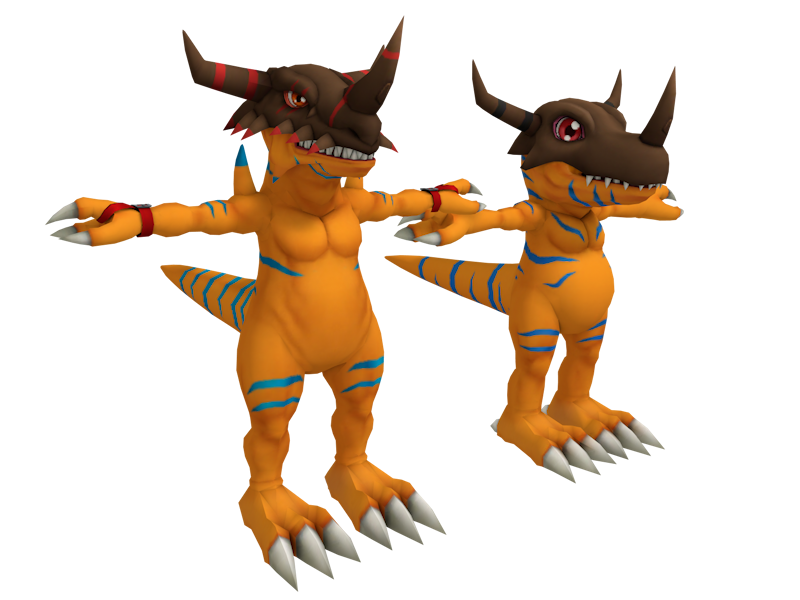 But I'm shocked Geogreymon's model is actually reskinned Greymon instead of using its own Cyber Sleuth model.... Poor Geo. That's not true... GeoGreymon's model is quite different from the regular greymon's... definitely not just "reskinned"
Which model is this? I only saw Geogreymon's icon under the evolution route, it look like Greymon looks so stoned before I realize it's Geo. So I had to evolve Agumon to Greymon instead.